I had quite a few compliments on my hair do for the Enchanted 10k when I wore my tiara and bun so I thought I might wear it again like that for the Pixie Dust Challenge. It's actually really easy to do and it stayed put the entire race (and yes, I did run..lol). There are actually a few different ways to make the bun so I will explain all of them. The two best ways to make the bun are with a sock, which I am sure you've heard of and with the "Hot Buns" that you can buy at the store. I have tried both and will give you pros and cons of both ways. First the Hot Buns. I've seen a few different versions of these. I've seen these range from $1 to $10.99 for the same exact product depending on where you purchase it. I found mine at the local Dollar Tree for just $1 and I got two Hot Buns in the pack/box, the one I used here and one slightly smaller (not shown). The smaller one is great for those who have shorter or finer hair. The Hot Bun starts off looking like the top image. 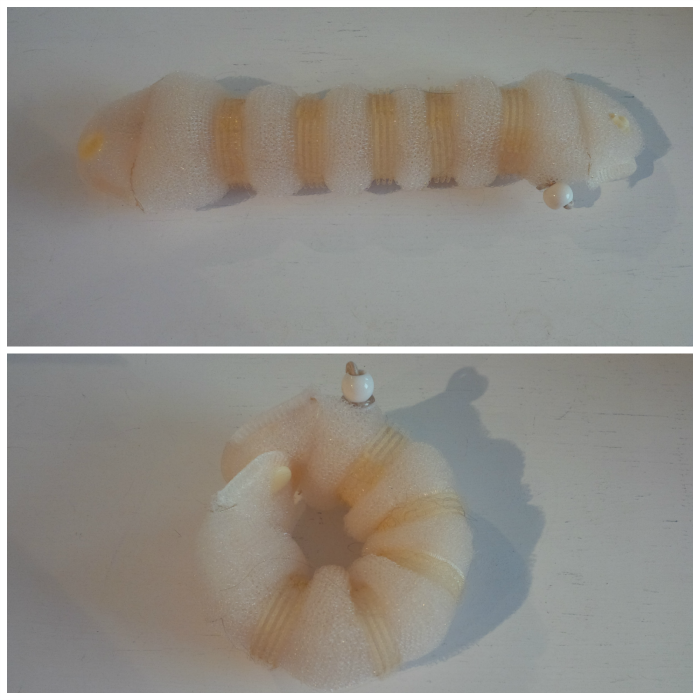 It can then be made into a donut shape ( the bottom image). You can start your bun with either shape. Here I will start it with the Hot buns straight out (not donut shaped). First put your hair in a very high ponytail. Then start wrapping your hair over the hot buns (from front to back). 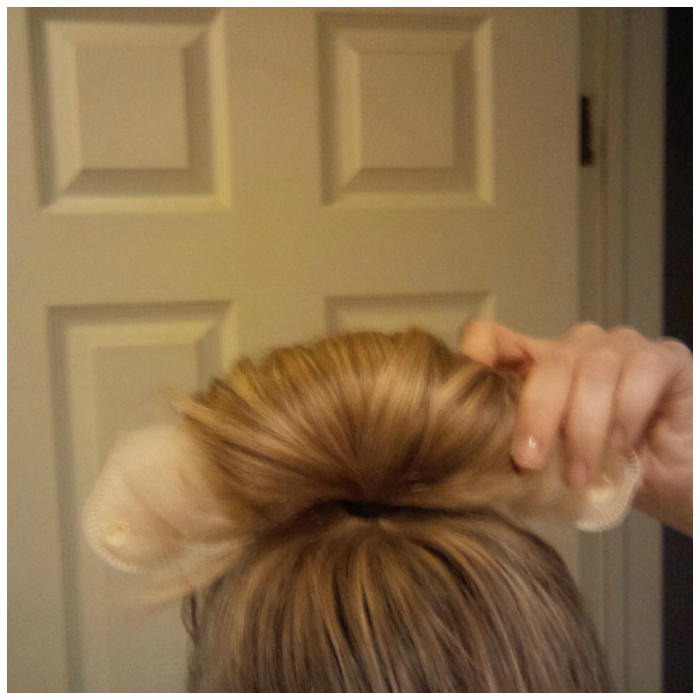 As you roll the Hot Buns down to meet the top of your head, be sure to spread your hair out so it covers the hot buns. 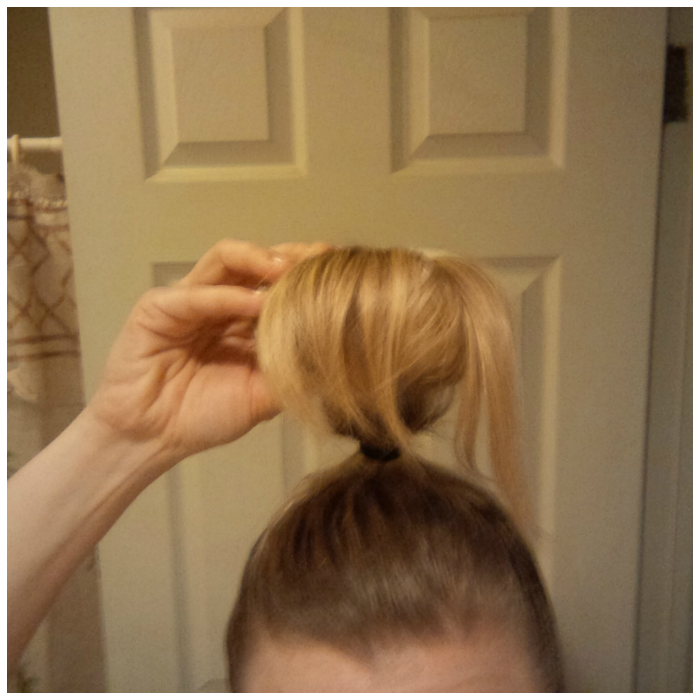 When you feel that your hair is covering enough of the Hot Buns, snap the two ends in place and form that donut shape. Voila! Your bun is done. The above way can be a bit tricky and I often find that by doing it this way I don't always get the entire Hot Buns covered with hair, so another way to do it is with the donut shape already made. 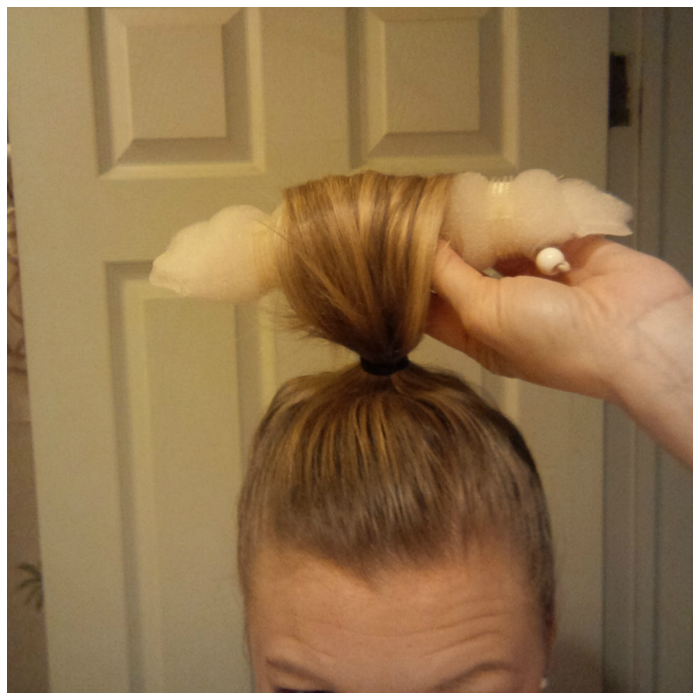 With the donut shape already made (by snapping the two ends together), slip your ponytail through the donut hole. Roll your hair (frontwards) over top of the donut. Continue rolling the donut and keep tucking your hair underneath it. Keep rolling the donut until it touches the top of your head. The completed bun. You can generally get these buns pretty tight, but I would suggested putting in a few bobbi pins if you are going to run in your bun. The only tricky thing about making the donut shape first is that sometimes as you are tightening your bun, the donut unsnaps. It wouldn't be a bad idea to get yourself a few of the extra large bobbi pins. 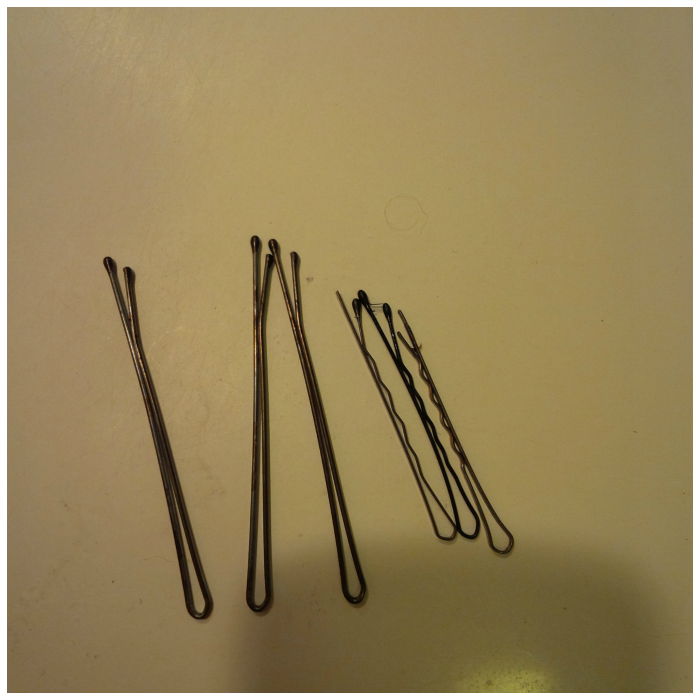 I've actually found that some of my older bobbi pins that are missing the rubber coating on the end actually work the best. The Hot Bun is made out of a netting type material and this allows the bobbi pins to slip right through so you can attach it to your head better. When you have everything in place, you can then add your perfect bow! 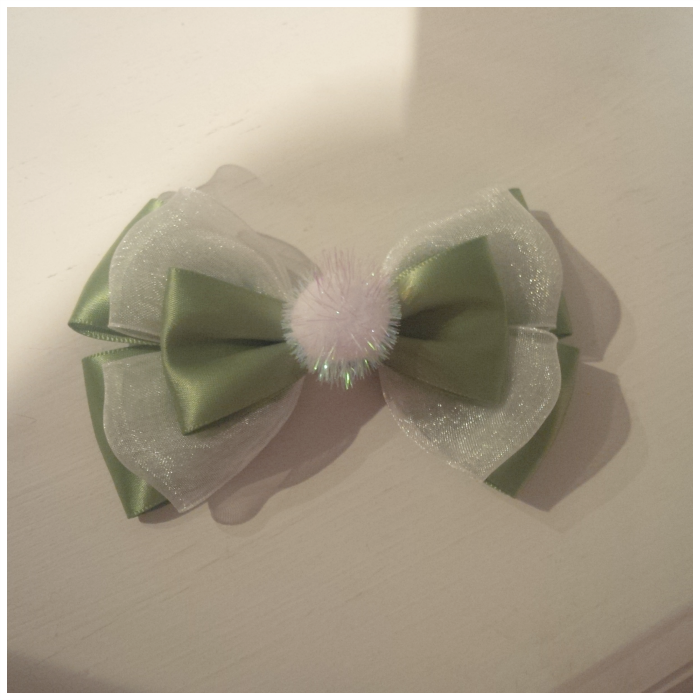 This Tinkerbell inspired bow was provided to my by my friend Kim at All Things Disney Bows. She makes ALL kinds of Disney Inspired bows. It may be too late to get a bow for this year's Pixie Dust Challenge, but be sure to check her out before your next Disney race! Okay, Now I wanted to take a moment and discuss the difference between the Hot Buns method of making a bun and the sock method. I originally started out doing the sock method, which is REALLY easy. Pick a longer, thicker sock. The longer and thicker sock is going to make for a fuller bun. Cut the foot part off so you have a hole at each end. Roll your sock into the shape of a donut and then just follow the directions I gave above. 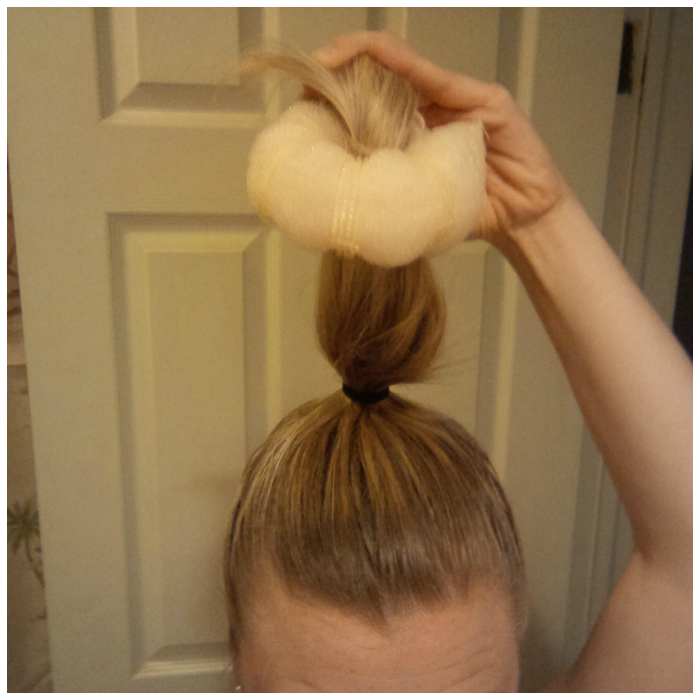 When I used the sock, the rolling was much smoother and the bun was actually better formed. The only reason I stopped using the sock and started using the Hot Buns was because I used the only sock that I couldn't find a mate to and it was a dark colored sock. Because I have light hair, you could see the sock through it. I gave that sock to my sister who has dark hair and it worked like a charm. The negatives about using the sock were that I could not stick bobbi pins through the sock like I could the Hot Buns. The Hot Buns is made out of a netting type material that almost acted like Velcro as I wrapped my hair around it. This is a good thing when you are wrapping it up in the bun, not such a great thing when you are ready to take the bun out...lol. Using the sock can feel kind of slippery because there is nothing for your hair to catch on to. Not running the Pixie Dust Challenge? No problem. I've found this style to be a cute and easy "wear to work" style too. Minus the bow of course! Now who's going to go make a bun? How cute!! I always admire such good buns (ok, that just sounded weird...haha!). My hair has some layers in it, so buns never quite work out how I want them to sadly. I remember thinking that your hair looked really cute for the Enchanted 10k! Thanks for sharing the how to. I've never tried either of these methods but it definitely sounds like it may be time to experiment. You look so cute with your little bun! Buns are always perfect when wearing a tiara. I've never even tried the sock bun! I have wild hair, lol! But your hair certainly looks cute! You always have great tips though, I keep tucking away! Your bun looks great! 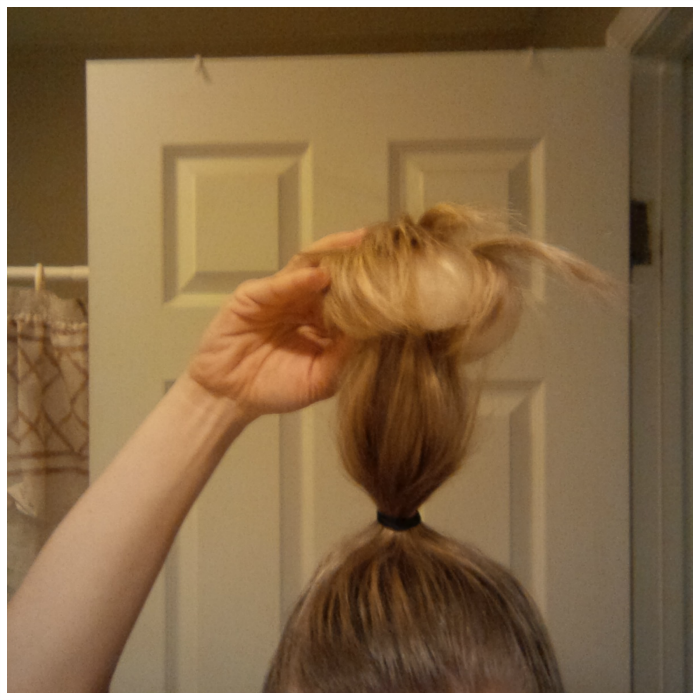 My hair is so fine that even when it is pretty long I still have an issue getting full coverage over the sock bun. 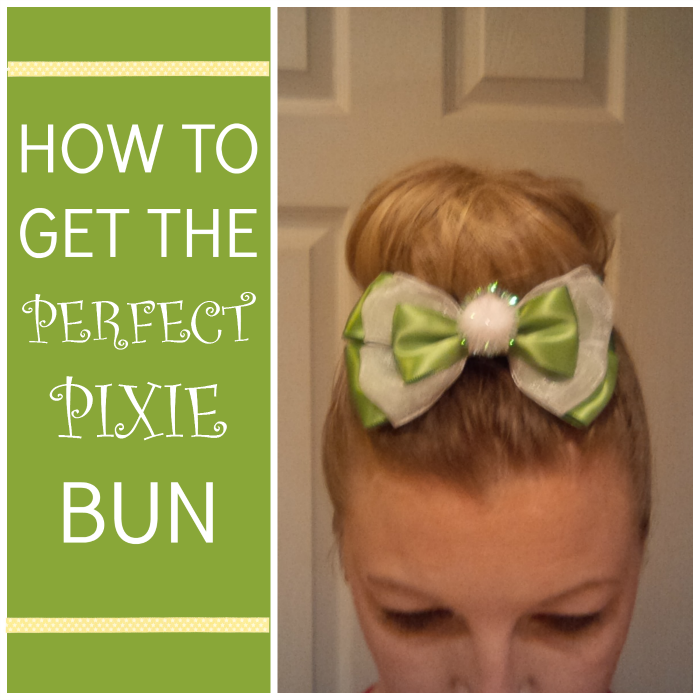 You definitely have the perfect do for the Tink this weekend! WOW!!! That looks like something I could do! I never even heard of this product but I'm keeping my eye out for it now. It looks so clean & crisp! love it! I need to work on my bun for this weekend! I'm impressed that it's actually that simple! I'm the laziest person ever when it comes to my hair. It's either down or in a pony tail. I don't even brush it! I think it's because I'm haunted from my 15 years as a ballerina where I had to have my hair in a perfect bun 6 days a week! I need one of those for my ballerina daughter! I usually messy bun it myself. Thanks for the tips! You are making me miss my long hair! 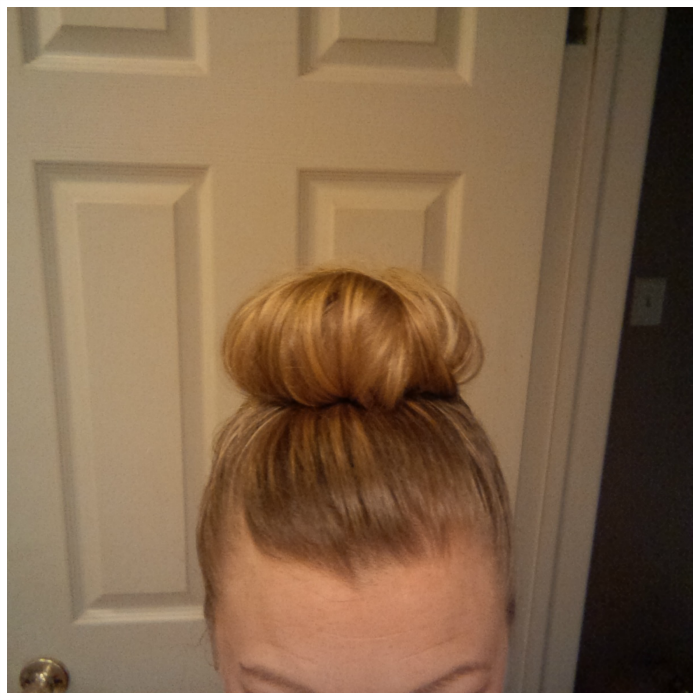 I have the sock bun but now I want one of those hot buns, I might can get mine back up before long! I always like to throw my hair in a bun on day 3, use a little dry shampoo around the hairline and throw the rest up, neat & tidy! Love it!! Wish I had long hair now to try it out! Thanks for the tips! It takes me a long time to get my bun "perfect". I had no idea there were buns that were straight.